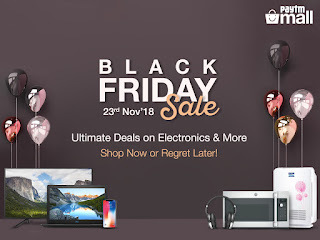 With Black Friday just around the corner, Paytm Mall – owned by Paytm E-commerce Pvt. Ltd. is offering Indian customers an incredible opportunity to shop their favorite gadgets and appliances at great prices. The platform is going to slash prices of popular products by up to Rs. 20,000 as a part of its upcoming Black Friday sale. Lenovo Ideapad 330, which comes loaded with 8th Generation i5 processor, 8GB RAM, 2TB HDD, and full-HD screen – will be effectively available for Rs. 41,400, down from its MRP of Rs. 53,890. Paytm Mall customers will also be able to purchase HP 15Q (with preloaded Windows 10, 4GB RAM, 1TB storage space, and Intel HD Graphics accelerator) for Rs. 25,599 effectively, alongside other deals. The sale also gives Indian gaming enthusiasts the perfect reason to cheer, with Xbox One X (1TB) gaming console (MRP: Rs. 48,490) becoming available with an effective price of Rs. 38,253 during the sale. Shutterbugs, on the other hand, can buy the 24.2 MP Canon EOS 200D Kit (MRP: Rs. 60,495) with an effective price of Rs. 48,695. Raising the stakes this Black Friday, Paytm Mall is also enabling its customers to get ahead in the digital race. Paytm Mall will be extending Google Chromecast (2nd Gen) worth Rs. 3,399 to its Smart LED TVs customers this Black Friday. Apart from it, the e-commerce platform has also slashed the prices of these smart offerings with Sony’s 108 CM full-HD Smart LED TV (MRP: Rs. 56,900) being available for Rs. 36,073, LG 80 CM HD-ready Smart LED TV (MRP: Rs. 30,990) for Rs. 18,045, and so on. Other interesting offers include Whirlpool Frost Free 240L Triple Door Refrigerator (FP 263D Protton Roy Alpha Steel) (MRP: 28,800) having an effective price tag of Rs. 18,761, Bosch’s 7 Kg Fully Automatic Top Load Washing Machine of Rs. 13,860, Vivo V7+ (64GB) (MRP: Rs. 22,990) of Rs. 11,990, and Honor 9 Lite (4GB RAM, 64GB memory) (MRP: Rs. 16,999) of Rs. 11,000. Ahead of winters, Paytm Mall customers can also purchase Haier’s 15L Storage Geyser ES 15V E1 for Rs. 4,938 effectively. 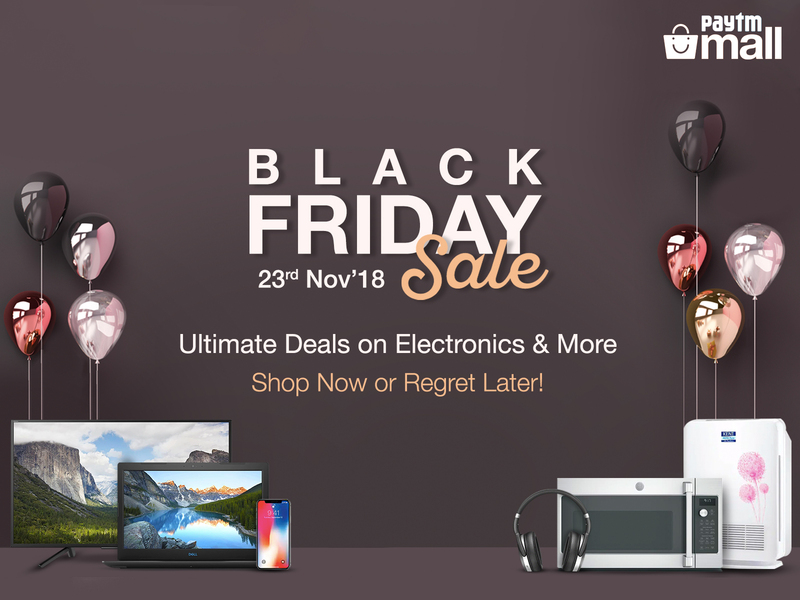 To check out more interesting offers, log on to Paytm Mall this Black Friday, i.e. 23rd November. Individual offers are subject to stock availability.